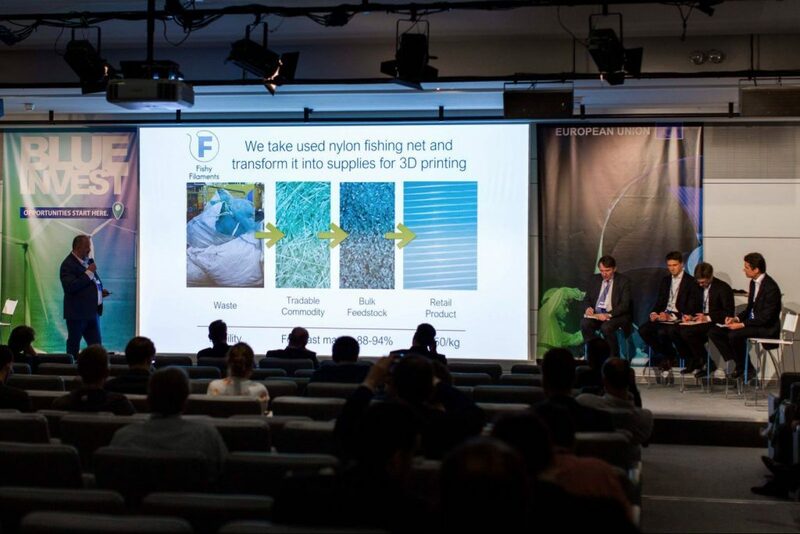 Fishy Filaments was invited to attend the European Commission and EMFF’s first ever BlueInvest pitch event in Brussels on the 17th May 2018. It was, nominally, a competitive pitch to a panel of professional investors but it was really more a structure to bring together actors in the Blue Economy, with most of the space in the Square Brussels Meeting Centre dedicated to short one-to-one meetings. Around 350 interested parties attended and event registration was closed early, so plenty of active interest in the maritime economy out there. I had travel problems on the way so had a dissappointingly short time during the formal event to network but still made some useful contacts and it was, over all, well worth attending.